Hip bursitis is a fairly common pain in the hip that can present itself in a broad patient population. It is more common in those 40+ years old, but can affect people of all ages. This condition is common in younger runners and bikers. Hip bursitis can cause fairly intense pain in the lateral (outside) aspect of the hip that can be felt to radiate down the leg at times. Pain coming from hip bursitis can be quite debilitating. Sometimes it can greatly impair the ability to get a good night sleep mainly because it limits the ability to sleep on the affected side. Bearing weight through that leg is often difficult and the pain is described as deep and achy. Most of the time hip bursitis can be treated conservatively with physical therapy with excellent results. However, as with many conditions, it is also common that it can recur as well. For that reason it is important to know what weakness in the body or what activities may be causing the bursitis, and also exactly what exercises are best to help with the healing process. Keep in mind that hip bursitis can be a difficult condition to treat and often can take weeks once treatment has begun to see some improvement. But lucky for you there’s a lot you can do about it! We use the free online website, www.hep2go.com, to generate all our home exercise programs. Check ’em out! 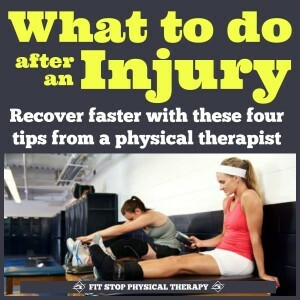 I believe the first three exercises listed are ideal during the acute phase when pain is still significant. As the pain starts to decrease we start to focus more on transitioning to more of a hip/core strengthening approach. The majority of individuals with hip bursitis also have weakness throughout the hips. 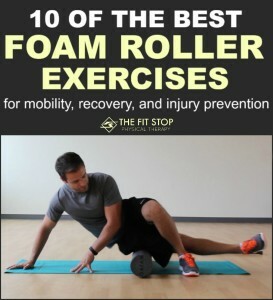 Exercises 4 and 5 listed above are generally a good starting point for most patients. It is important to remember that pain in the hip region of the body can often be difficult to diagnose. Your hip pain may be originating from somewhere else. 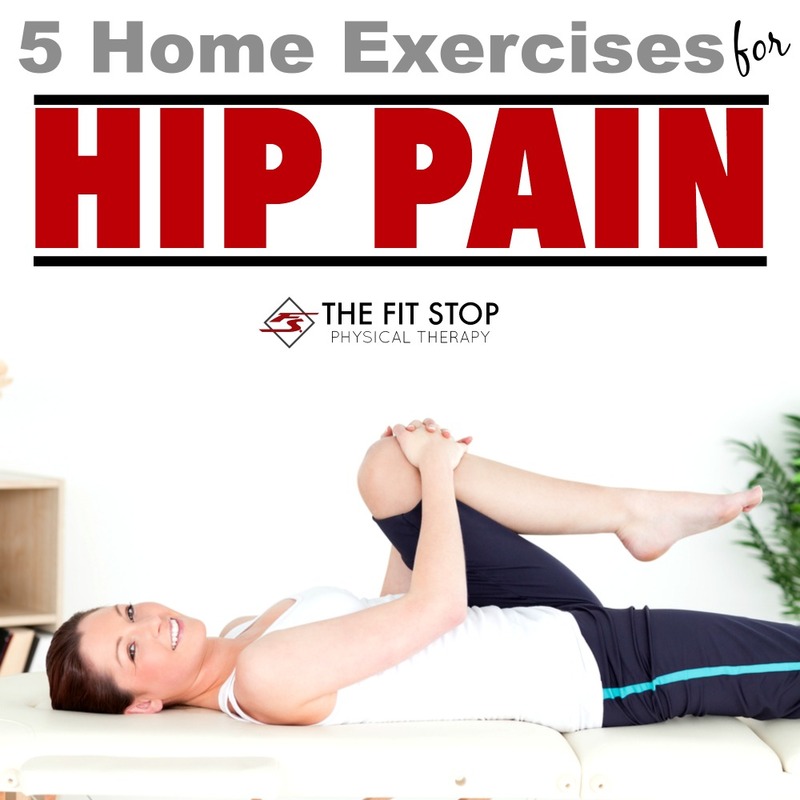 If hip bursitis is suspected and you are getting minimal results by following these home exercises, we would love to see you for an appointment at Fit Stop for an in-depth evaluation and a more individualized home exercise program specific to your individual needs. 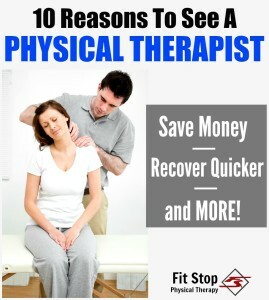 CLICK HERE to get the contact info for a Fit Stop clinic near you! Great explanation of what could be causing your hip pain and what to expect during treatment. Thanks so much for sharing. You bet, Drew! Thank you for your kind comment!